Growing up I remember my house always being the place to hang out. I loved hosting. Granted, these weren’t extravagant parties, only small get togethers with my friends. I enjoyed them though because my home felt like home to others and I have carried this comfort with me, wanting to extend it to my family and when my children are older, their friends as well. Now it wasn’t until my college years that I learned what throwing a party actually consisted of. The decorations, the drinks, food, and entertainment. For a short time I was fortunate enough to live with my Aunt, who taught me what it was like to host a REAL party. And with each party I throw I make note of something not to be forgotten the next time. 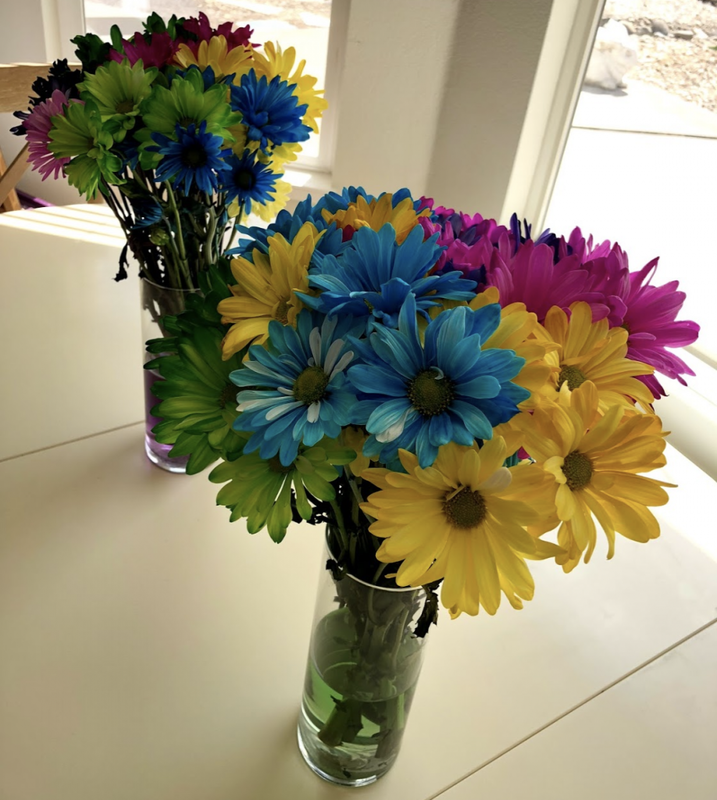 Here are some ideas for your next party, especially if you are a mom, those milestone birthdays are always so much fun to plan for. 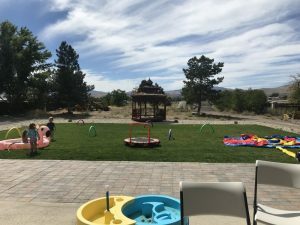 For those of you also located in Northern NV, I included links for many of my favorite vendors. Without them, this party would not have been a success. I love hiring local as much as possible! 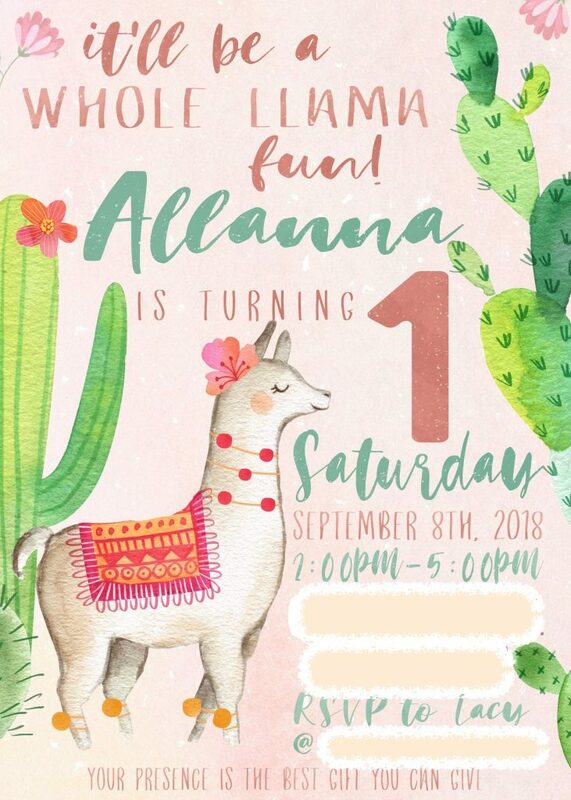 it’ll be a WHOLE LLAMA fun! 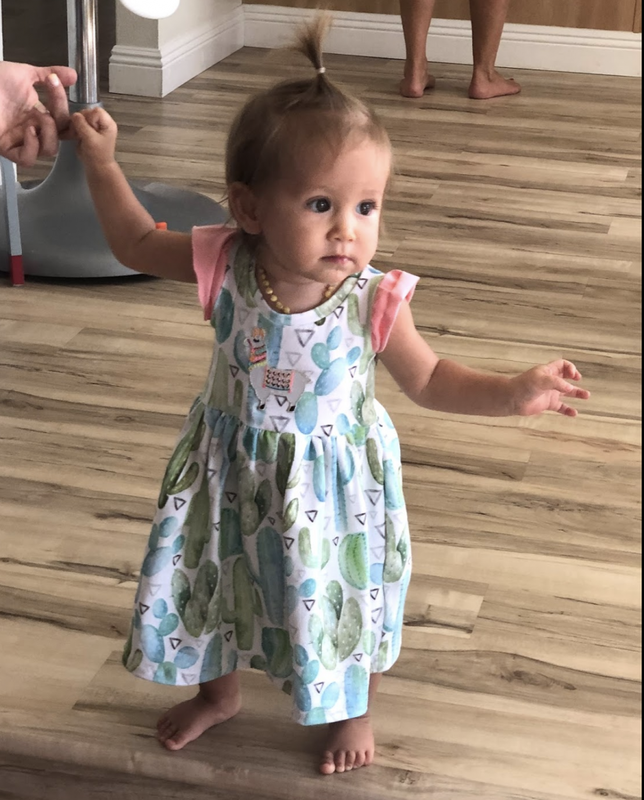 This was my daughter’s first birthday party, and well, I’m not one to shy away from a party as you can see, since you’ve made it this far. Now, I’m not saying that everyone needs to or is expected to go all out for a first birthday. I ENJOY decorating, setting up and gathering people together over good food and conversation. 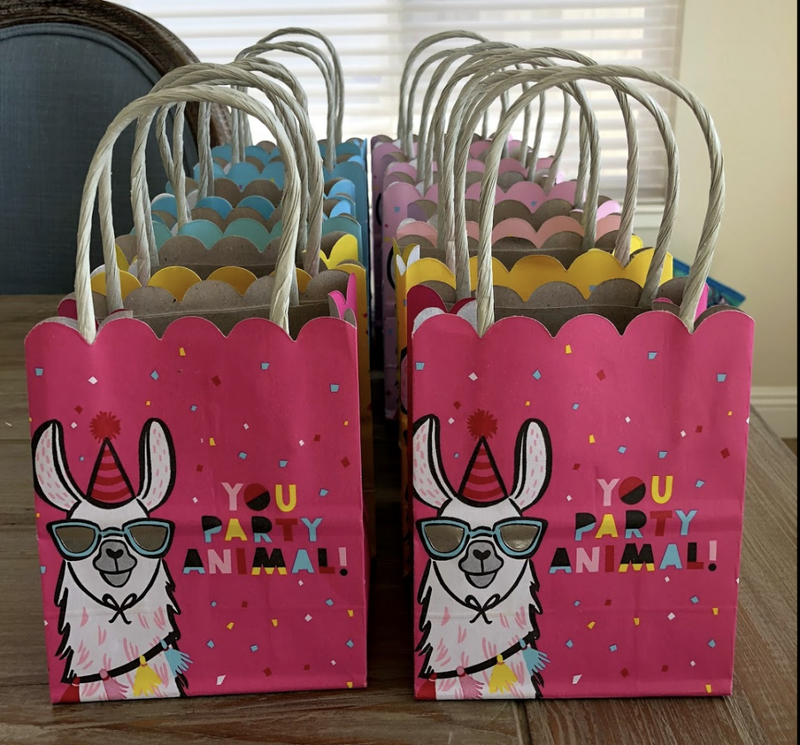 For the theme I chose llamas because that is my daughter’s nickname – “Llama”. Pinterest is amazing for getting your creative senses flowing, but when you work with a local artist to design your invitation, I mean come on does it get any better? I worked with Lahontan Letterworks to design these adorable invitations! Check out her Etsy shop for more adorable designs. So, I knew I couldn’t prepare everything on my own. Thankfully I met a wonderful friend who prepares meals, sides, appetizers, and even some sweets! She even has a cookbook – BVGAN. 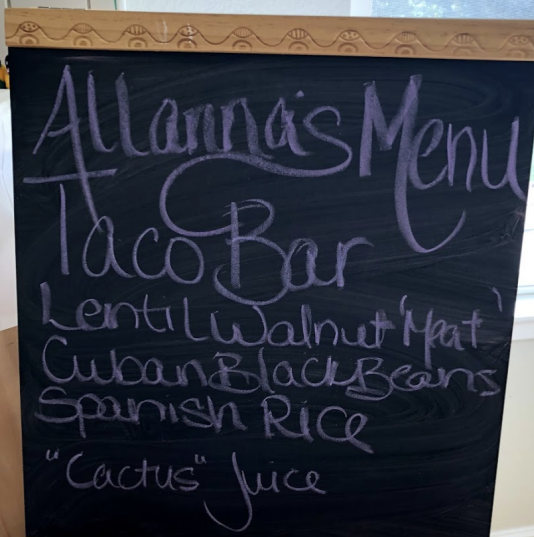 She prepared her minimalist bread and almond cheez spread as an appetizer, Cuban black beans for the side and as a dessert she made strawberry cupcakes.In addition to what I just listed we had Spanish rice, and Walnut Lentil Tacos. The recipe I used for the tacos was adapted from Oh She Glows. They were perfect for people coming at different times (due to kids nap schedules) and allowed people to easily serve themselves. I know I mentioned cupcakes above, but this wasn’t all we had for dessert. Since this party, I have made a good friend who runs her own cottage bakery. She bakes the best Damn. Desserts. I have ever had. No joke. 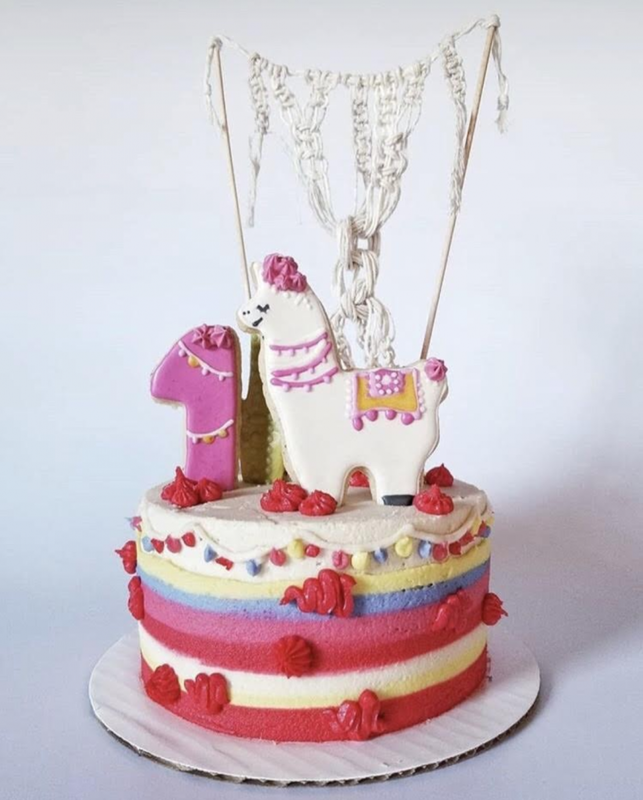 The llama cake was to die for, and I won’t even lie – my husband and I ate at least half by ourselves. I had the cake made for family and smash cake purposes, that’s a good excuse right? The cupcakes were for the guests. I figured they were easier to hand out to kids, and adults. Oh and I can’t forget the cookies. 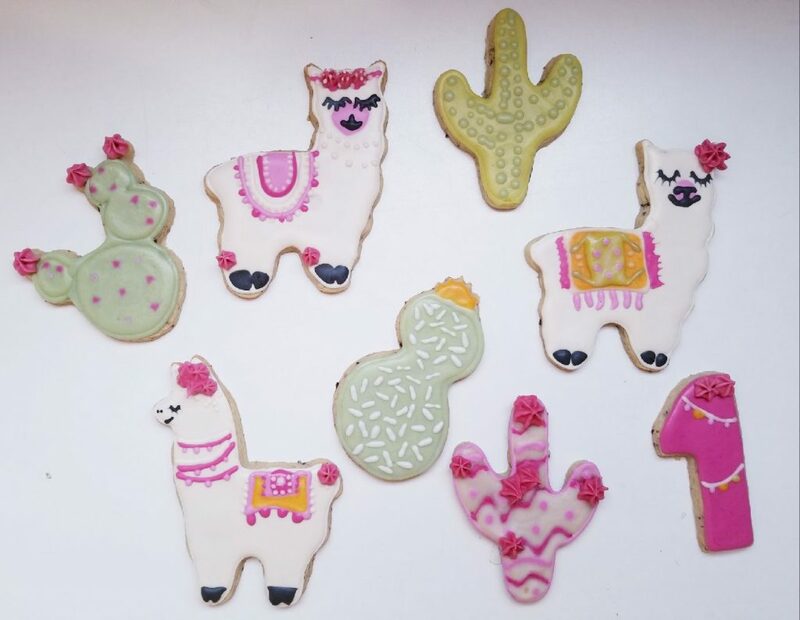 Mollie, who made the llama cake also made llama and cactus cookies that were out of this world! She is so talented. If you are in the area, call and place an order with her (do it ahead of time because she is a busy mama!!). As the party approached, I started to freak out because I didn’t know how we were going to entertain so many people, including children. About a month prior we had visited my brother in Las Vegas and while we were there he brought out this perfect sized jump house for our girls to play in. He filled it up with air in less than ten minutes! So of course, I went out and bought one before the party. I purchased at Target, but they are on Amazon as well. We also had a water table, kiddie pool, and trampoline that we set outside. They may be hard to see in the photos, but those colorful arches on the grass are pool noodles stuck into the ground with pencils (thank you Pinterest) to make a fun little obstacle course for the kids. We also set out some sidewalk chalk, which was included in the favor bags as well. Don’t forget to give out your party favors as people leave. I completely forgot, maybe because I was running around making sure everyone had what they needed. I handed out those favor bags for weeks as we had play dates and meet ups with those who attended. On a serious note, don’t feel like you have to give out party favors, to each their own!! Honestly, I don’t think anyone expects them nowadays. Aside from throwing one hell of a party, we decided to purchase one gift for Llama. I wanted it to be some kind of keepsake, so we had a measuring ruler made for her. It says her name on it and has a llama painted in her honor. Terri, the crafty maker has made me numerous decor additions for around my house; blanket ladder, chalkboard/key holder, signs and more. You can find her on Facebook at Knot Too Shabby. I cannot express how grateful I am for the people I have met since living in Nevada. We are going on two and a half years, and residents are not only friendly and accepting, they are some of the most creative and talented humans that I know. 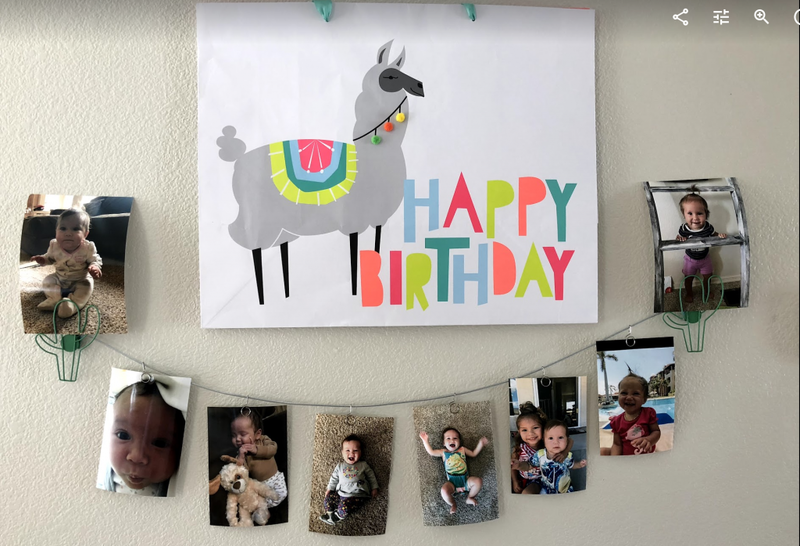 I’m sure to some people it seems like I went overboard for this one year old’s birthday, and in some ways I probably did, yet it was so much fun choosing the decorations, preparing delicious food, then being surrounded by great friends and family that it was well worth it. 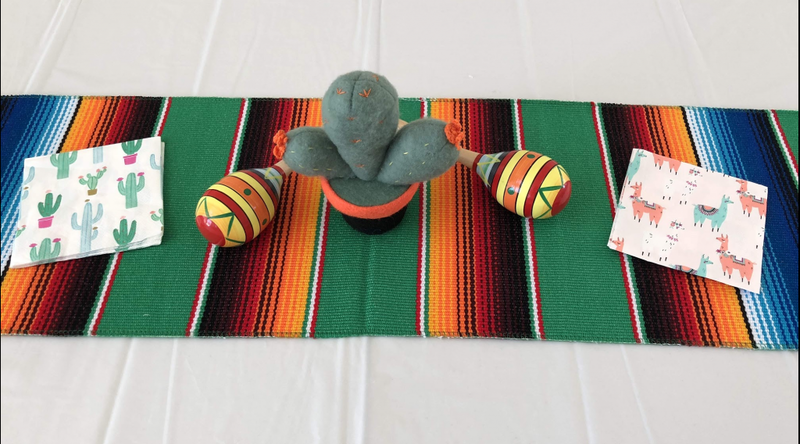 I hope this inspires some ideas for your next llama and cactus theme party. Better yet I hope it inspires you to throw a party or get together because surrounding yourself with the love and support of others is invaluable. You can never go overboard on a child’s birthday. They’ll remember it for the rest of their life. So glad you love Nevada! 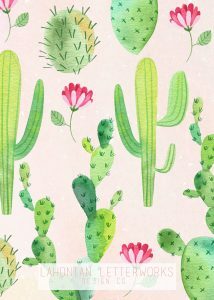 I love anything cacti, and with llamas…. adorable!! I loved going totally overboard for my kids’ first birthday parties. 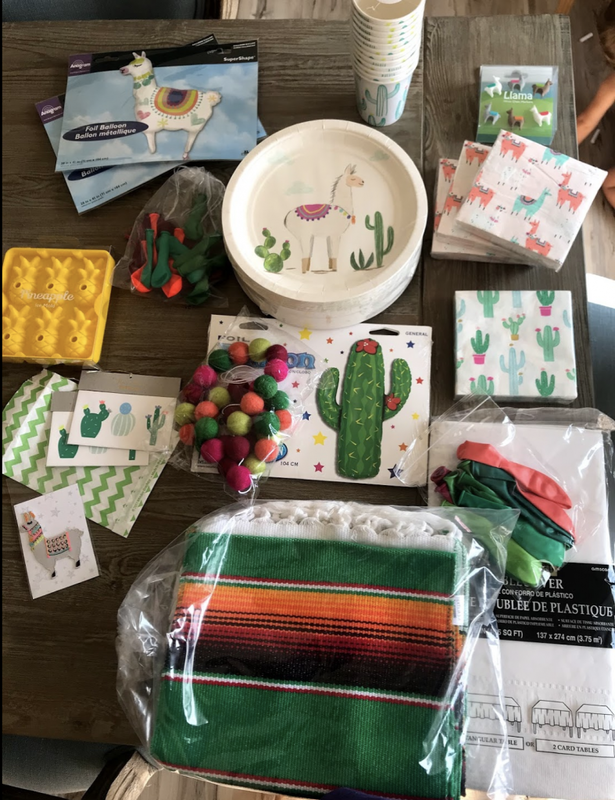 Looks like it was a great party for your little one! Oh my goodness, what an excellent theme for a first birthday party. I love hosting parties as well but ALWAYS forget something. 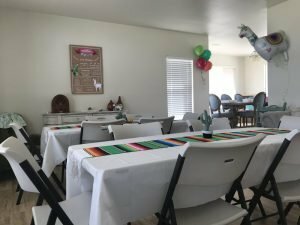 Do you have a checklist or blog post on what you need to host a party?? Cutest party ever! I love all of the ideas and especially the cookies! I was just looking at their bakery online and I would LOVE if they delivered far too because I would 100% get some cookies for my kids! The bakery is possibly worth moving across the country for?! Thanks for the great article! !